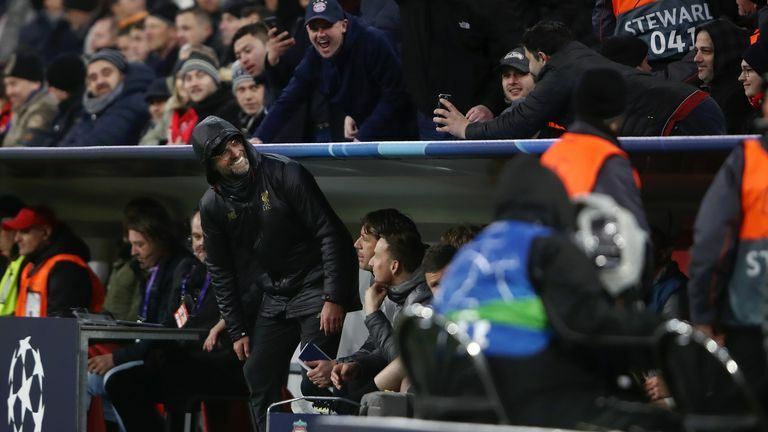 Jurgen Klopp says he loves working at Liverpool but has to keep proving himself after Franz Beckenbauer backed him for the Bayern Munich manager's job. Before Liverpool's 3-1 over Bayern Munich on Wednesday, which took the Reds to the Champions League quarter-finals, Beckenbauer said that the former Borussia Dortmund coach would be an ideal appointment at Bayern Munich. "Jurgen Klopp at FC Bayern. That would be the highlight. Jurgen was the one who taught the Germans how to play football quickly," he said. 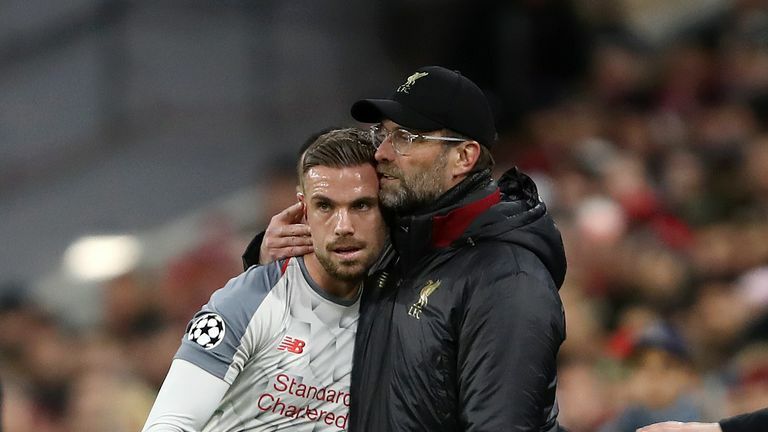 However, Klopp insists he is focused on winning trophies with Liverpool, although he admitted such praise from Beckenbauer was akin to being awarded a knighthood. "There is no bigger legend in Germany than Franz Beckenbauer," said Klopp. "It feels great he speaks positively about me. It is just like the king with his sword calling a man 'sir'. "If he thinks that, it is a compliment to Liverpool. Bayern have done everything right in the last 10 or 15 years without making many mistakes but I feel I am a good fit where I am. "I love it here, there are lots of opportunities to develop an already really good team. I have enough confidence to say I am the right manager for Liverpool at the moment, though in football we all constantly have to prove ourselves." Liverpool will return to the top of the Premier League if they beat Fulham at Craven Cottage and, with eight games to go, Klopp believes the future is rosy at Anfield.